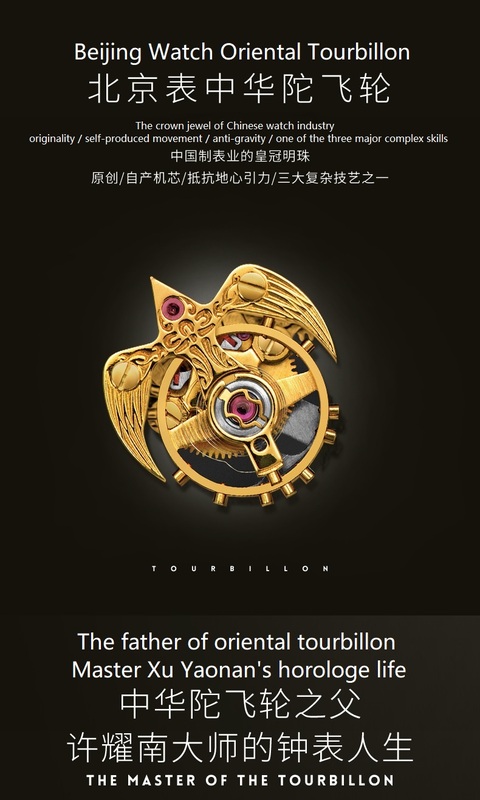 The "mortise and tenon" is a connecting method commonly used in ancient oriental architecture. 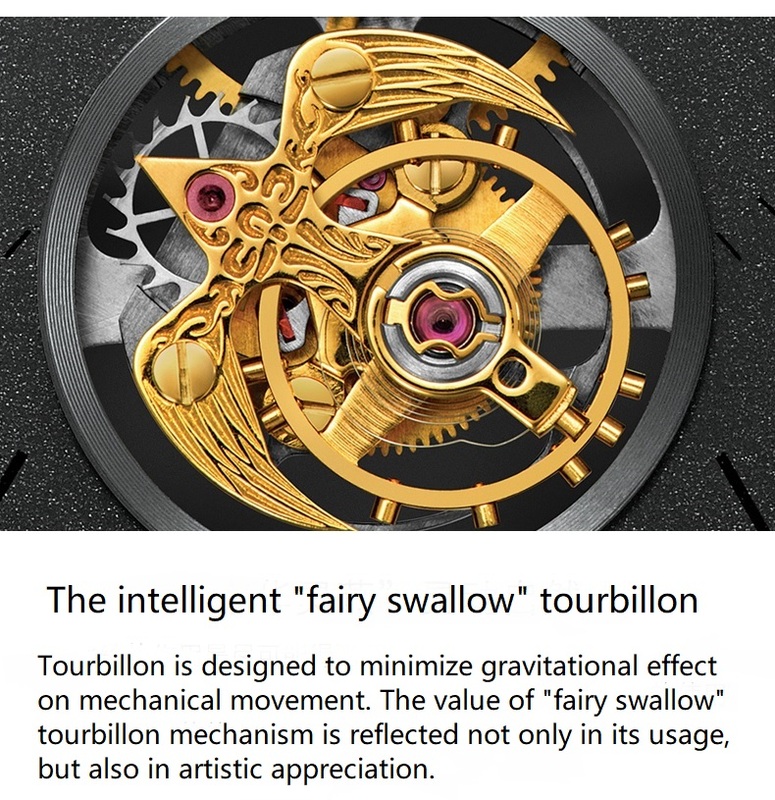 It emphasizes on the combination of convexity and concavity, more and less, advancement and retreat. 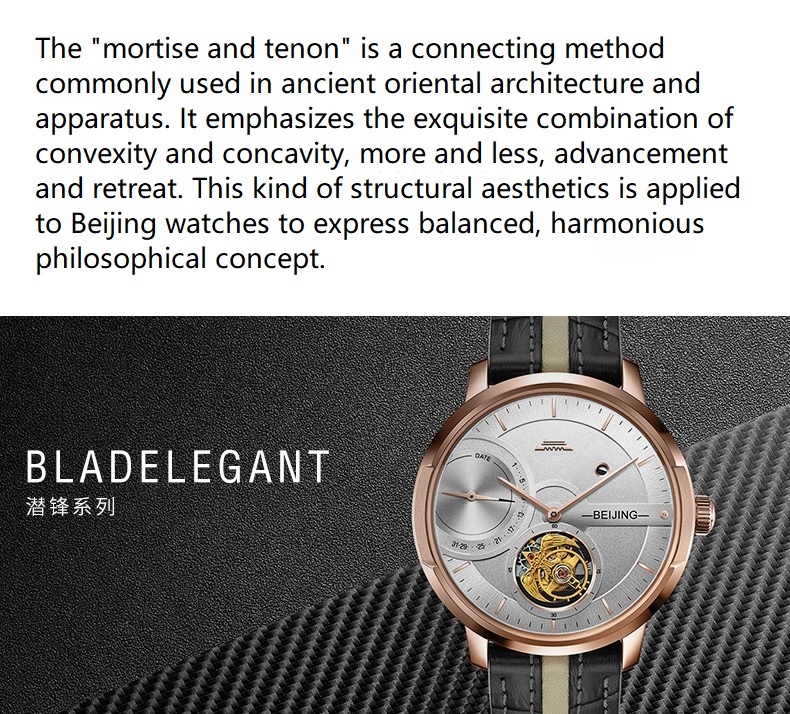 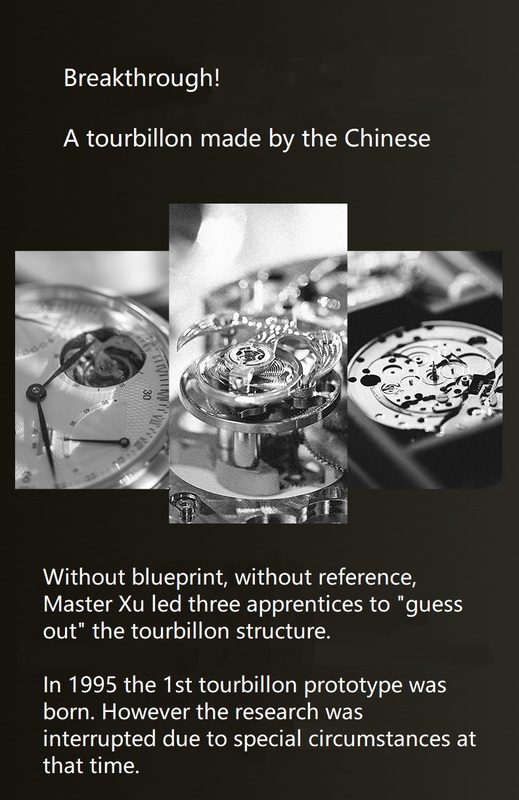 This kind of structural aesthetics is applied to Beijing watches to express balanced, harmonious philosophical concept. 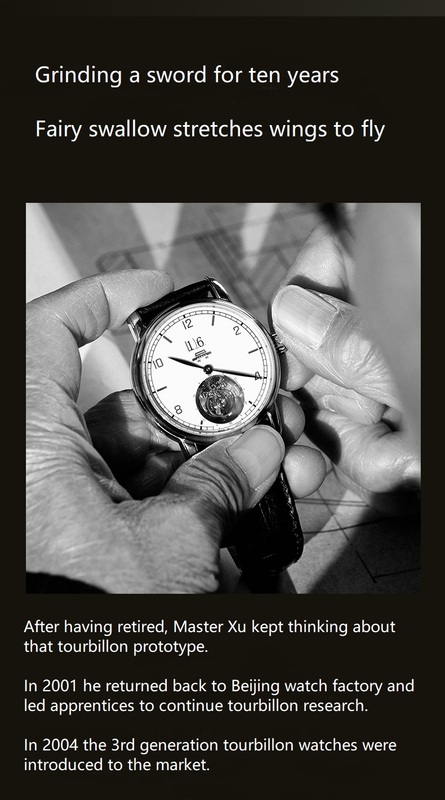 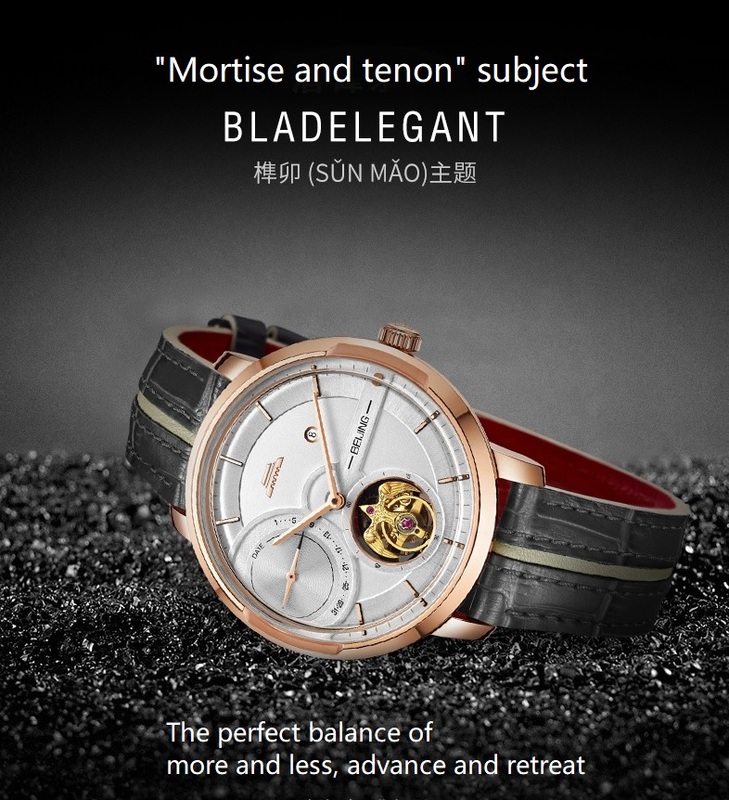 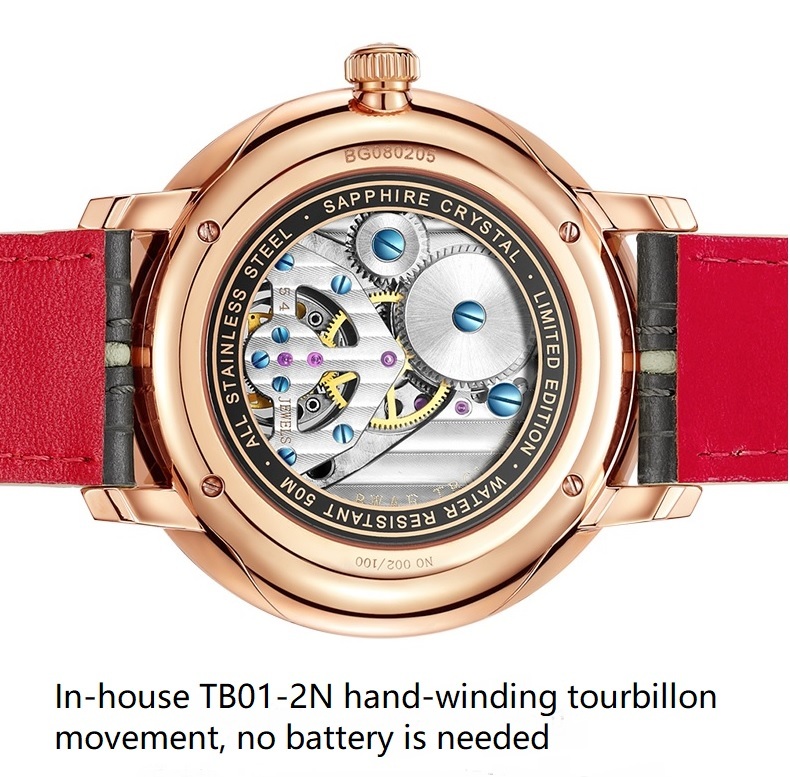 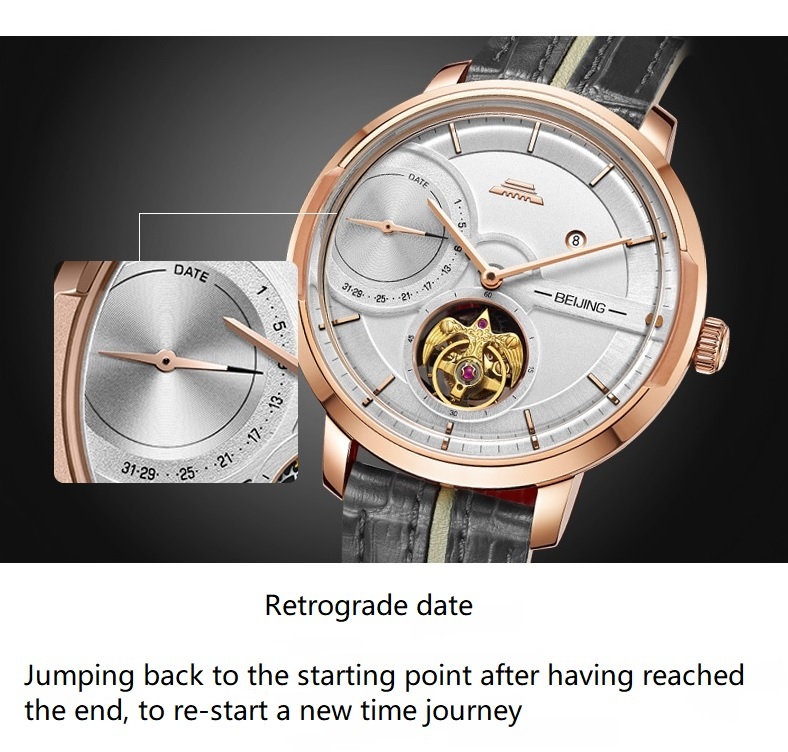 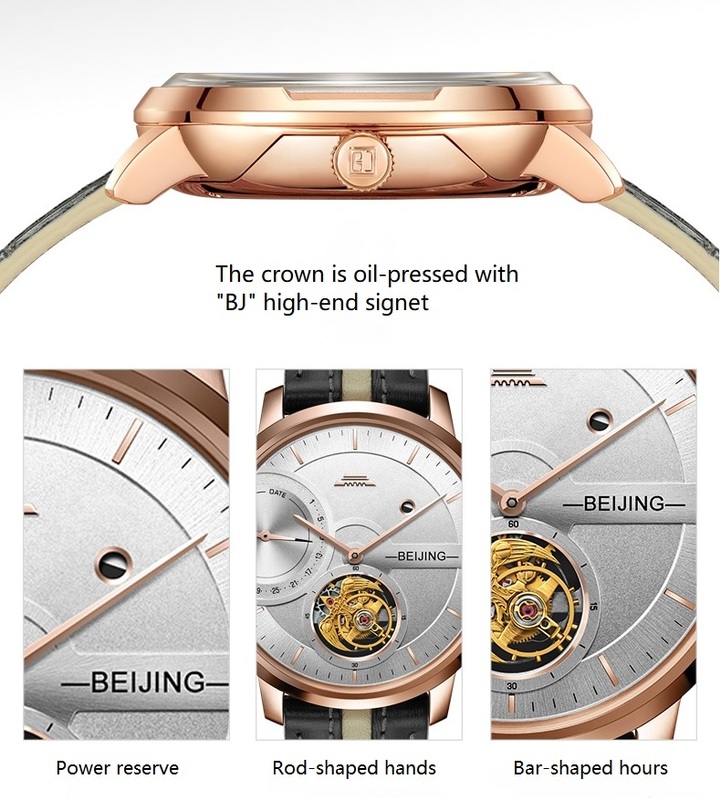 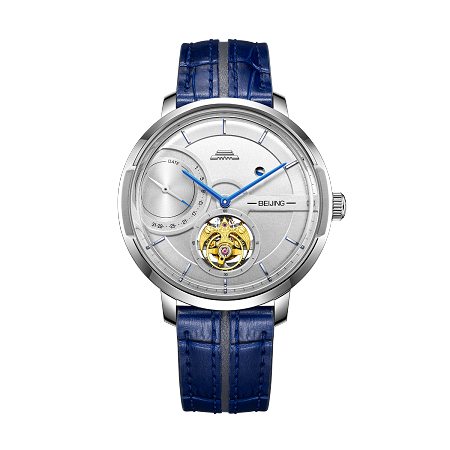 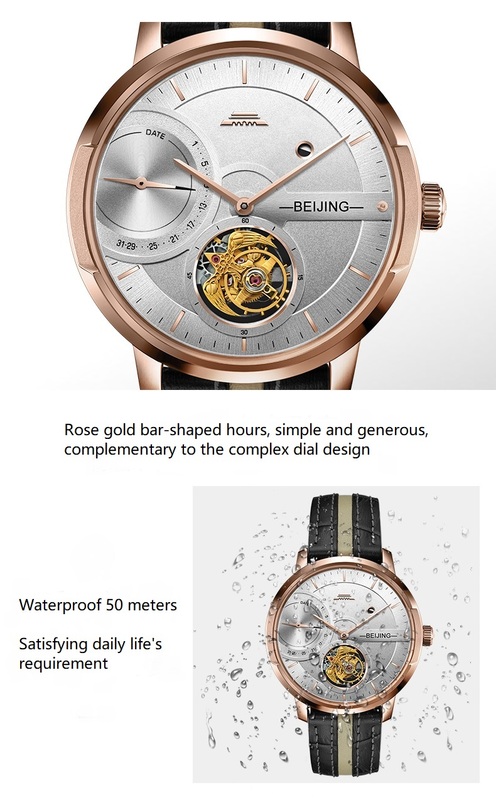 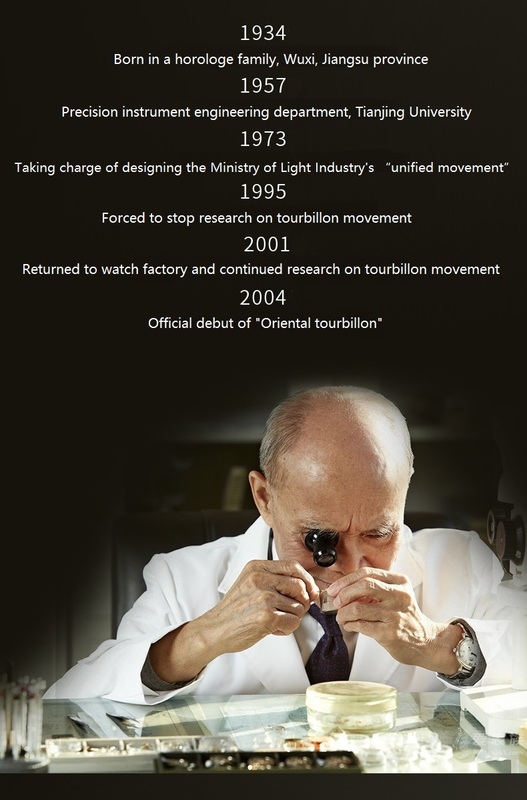 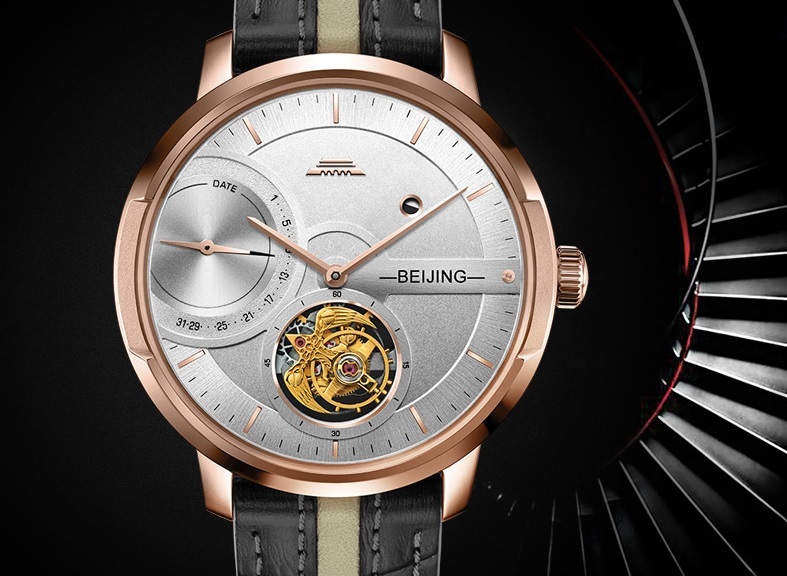 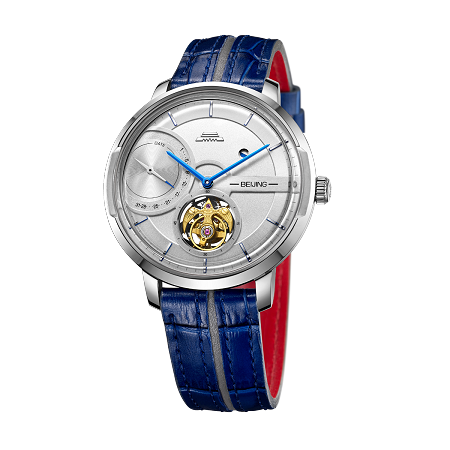 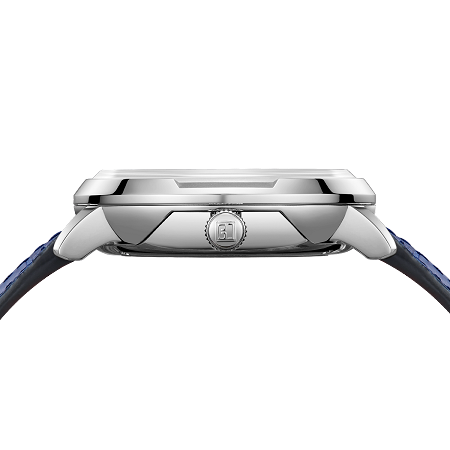 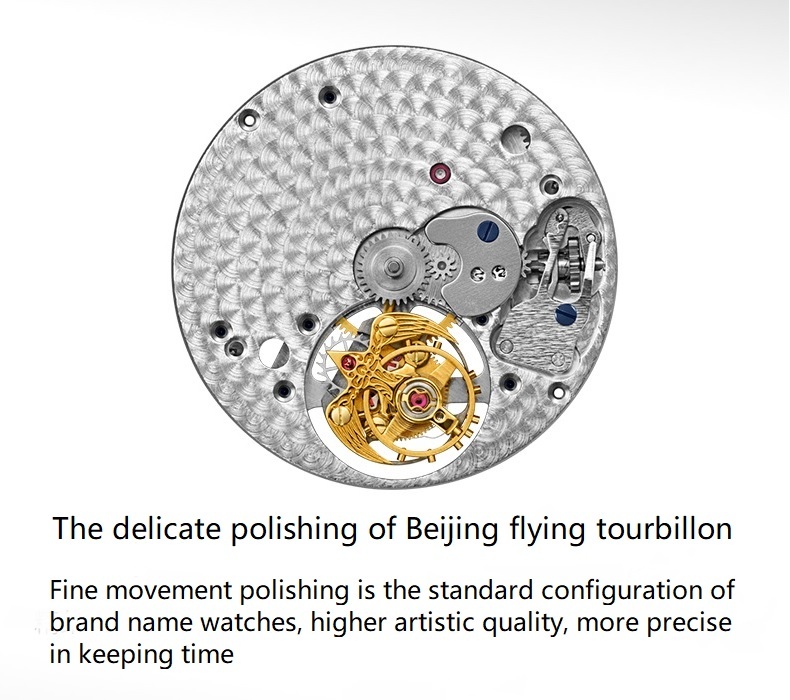 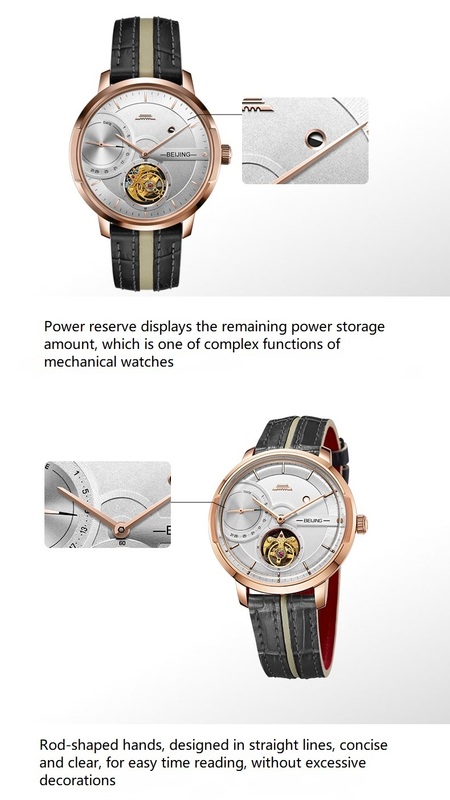 Equipped with Beijing in-house free sprung hairspring, flying tourbillon, power reserve, retrograde date display. 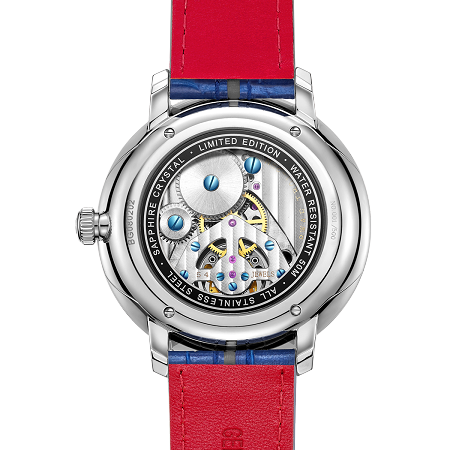 The strap adopts the creative design of color splicing, also narrating the beauty of balance and opposition.